Sep 07, 2016 Hi There- All new LeafFilter team members must pass a background check before they are hired. 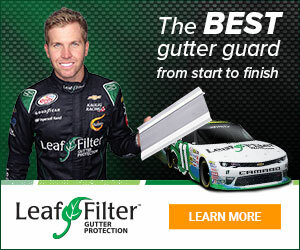 The employee in question is no longer with LeafFilter. The man accused in a deadly crash in north Charlotte Friday night is expected to make his first court appearance Monday. Police said after Robert Leahy hit a moped so hard that it became stuck inside the front of his car, he kept driving. A judge at the Mecklenburg County Courthouse will read the charges against Leahy Monday morning, which include felony death by vehicle and DWI. Police said Leahy was driving along Old Statesville Road Friday night when he rear-ended the moped. The driver of the moped, Philip Black, was seriously injured. His girlfriend, Valerie Shaak, was killed. Police said after the crash, Leahy drove about a mile down the road before parking his car. They said he then started running. Officers used helicopters and police dogs to track him down. Review #578318 is a subjective opinion of User578318. What the ops manager did does not define this company. It is funny whoever you are knows beau was a ops manager but anyway the choices beau made has nothing to do with the quality of this product.